Rent villas and apartments in Punta Ala, Italy with swimming pools. Book affordable holiday rentals that are near a beach and golf course. This 2 bedroom villa is located in Punta Ala and sleeps 6 people. It has WiFi, air conditioning and parking nearby. The villa is within walking distance of a beach. This 2 bedroom villa is located in Punta Ala and sleeps 4 people. It has WiFi, parking nearby and a gym. The villa is within walking distance of a beach. Beautiful detached holiday home with private pool near Punta Ala, a famous and elegant seaside resort of the Tuscan Maremma. Large furnished porch for outdoor meals or just relaxing moments. This 3 bedroom villa is located in Punta Ala and sleeps 6 people. Beautiful detached holiday home with private pool near Punta Ala (1 km), a famous and elegant seaside resort of the Tuscan Maremma. The house is just 500 m walking distance from the beach. In Punta Ala, one of the most famous seaside resorts of the Maremma coast, lies this beautiful semi-detached house with large garden. 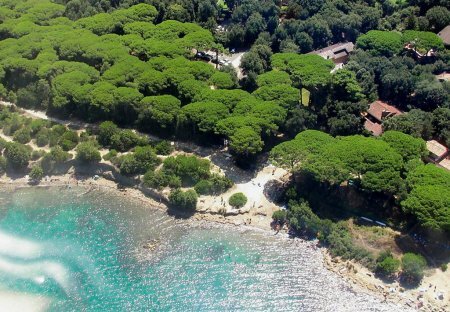 Beautiful and inviting holiday home in a panoramic position on the beach of Punta Ala, one of the most prestigious tourist areas on the Tuscan coast. The holiday home is on a hill. In the famous seaside resort of Punta Ala lies this lovely, small holiday apartment with shared pool and large garden, set about 2 km from the sea. Cosy cottage with outbuilding, surrounded by a landscaped garden with lawn and equipped with a covered terrace, gazebo and barbecue. Apartment in a portion of villa surrounded by greenery just 700 metres from the sea in the pinewood of Punta Ala, the famous seaside resort set on the northern slopes of the promontory. Elegant semi-detached villa on two floors covering 230 sq.m. with 4 bedrooms and 4 bathrooms sleeping 9 people, with a large private garden and wide furnished loggia. Holiday home in two-family house at 800 m from the beach, in the lovely promontory of Punta Ala, one of Tuscany's most renowned seaside destinations. It features a separate access. This nice dependance overlooks the gulf of Punta Ala, one of the most exclusive seaside resorts on the Tuscan coast. 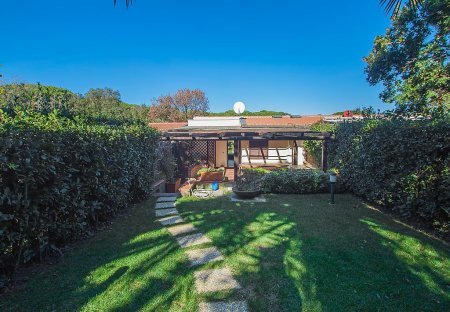 A beautiful, equipped terrace of 21 m², as well as a small sloping lawn.